The Ekiti state house of assembly has suspended its Chief Whip, Sunday Akinniyi, for allegedly sleeping at plenary session. 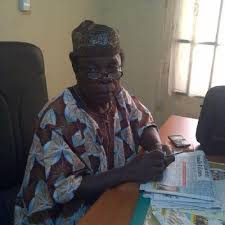 In a statement signed by the chairman, House Commitee on information, Dr. Samuel Omotosho, yesterday in Ado-Ekiti, said the House suspended Akinniyi over series of allegation levelled against him among which is sleeping habit. Omotosho said that the decision to suspend Hon. Akinniyi followed by an investigation carried out by Ayodele Fajemilehin led committee of the Assembly. He said the suspened honourable memeber was accused few weeks ago for his persistent sleeping from the beginning of any programme to the end, to the extent that he was nicknamed "The Sleeping Honourable". Dr. Samuel Omotosho has advised Hon. Samuel Akinniyi to pay more attention to his health and use the period of his suspension to come out of his embarrasing sleeping syndrome by sleeping well at home.